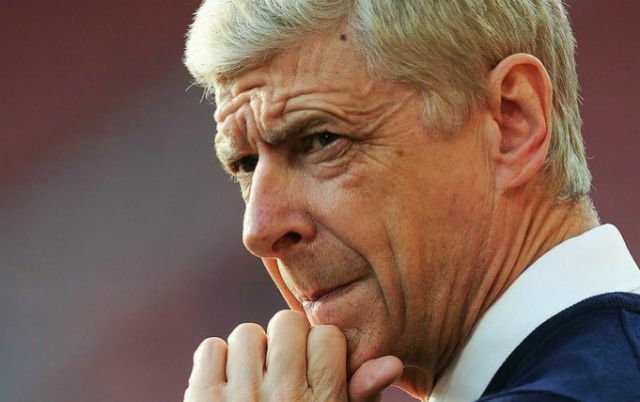 Arsenal boss Arsene Wenger spoke to the media on Friday and it’s fair to say that he has had a busy few days following the conclusion of the transfer window. According to speculation though, he may not be finished welcoming faces to the squad with free agent and former Arsenal midfielder Alex Song linked with a return having trained with the team recently, as per talkSPORT. A player with his defensive skill-set is arguably needed at the Emirates, as for all the excitement over Henrikh Mkhitaryan and Pierre-Emerick Aubameyang joining, the Gunners still have the worst defensive record of the top eight sides in the Premier League, conceding 34 goals in 25 games. In turn, defensive reinforcements are needed, but Wenger has ultimately suggested that Song is training with them with no real incentive to earn a contract with his old club. “He is looking for a new club. I allowed him to come in to work on his fitness. Nothing more than that,” he is quoted as saying by The Mirror. Elsewhere, Mesut Ozil penned a new contract on Thursday, with The Guardian noting that he landed a lucrative £350,000-a-week deal with Arsenal. Naturally, that comes with a big responsibility to be a leading figure for the Gunners now, more so than what he has been previously and it will be reassuring for fans to hear Wenger lay down that challenge to Ozil himself publicly having now rewarded him with new terms. “He has committed his future to the club at a period where we are in a tricky period. We expect him to take responsibility to lead the club to success,” the Mirror note. The German playmaker has been criticised on numerous occasions in the past for going missing in big games and not taking that kind of responsibility on his shoulders. Now, he has no excuse. Especially with top attacking players around him to provide pace, movement and goals in Aubameyang and Alexandre Lacazette, Wenger will be looking to him to pull the strings and take his game to an even higher level. As for exits, one that didn’t go down well with Arsenal fans was the departure of Olivier Giroud to join rivals Chelsea on deadline day, as confirmed by BBC Sport. Given his ability to offer a different dynamic in attack with his physicality, aerial strengths and ability to come short rather than use pace to go over the top, it’s a questionable decision but one that Wenger made in the best interests of the French international it seems. “He was massively popular here. Olivier wanted more playing time – and wants as well to go to the World Cup. That is why I opened the door,” it’s added by the Mirror.